The National Park System is vast and offers visitors everything from Coast to Coast. California is fortunate to be home to 26 Parks. In 2012, California saw more than 35 million visitors to the park system. Get a park pass and be one in a million! Lassen Volcanic National Park (LVNP) is just one of the twenty-six but worth mentioning because if traveled during the right time of year (not the dead of summer) you might have it to yourself. 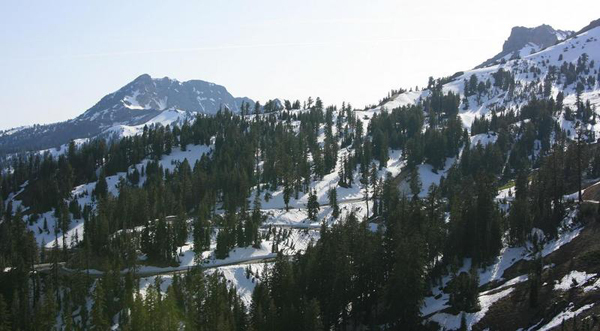 It is part of the Lassen National Forest. The area is quite unique as it mixes the Sierras with the lava beds and open prairies of northwest California. Through the forest you will get to see it all. State Road 89 (SR-89) runs North / South through the Park and into the Forest. It is very well kept, often empty of caravans and RVs if you are not in season, and quite picturesque. The road is full of long winding turns and makes you feel at home on a bike. If you can manage to hop off the bike for a little while the area also offers a nice hiking trail system. LVNP houses a variety of wild flowers and other fauna. It is home to the Lassen Smelowskia flower which only grows within the Park. If you go during the flowering season you might get to see this threatened and endangered species (check with park services about seasons). If you are glued to the seat you will be greatly pleased, but prepare for cold mornings and afternoons during the off season, and snow sticks around for a while in the high elevations as well. Getting to the area is quite straightforward. Any one of the three main roads will do (SR-36, SR-89, and SR-44), but I prefer to link it up with some of the smaller two lane roads like Deer Creek Highway. 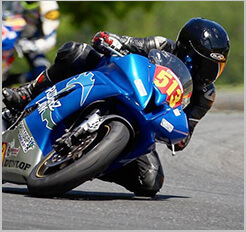 For more NorCal Motorcycle Rides, click here. 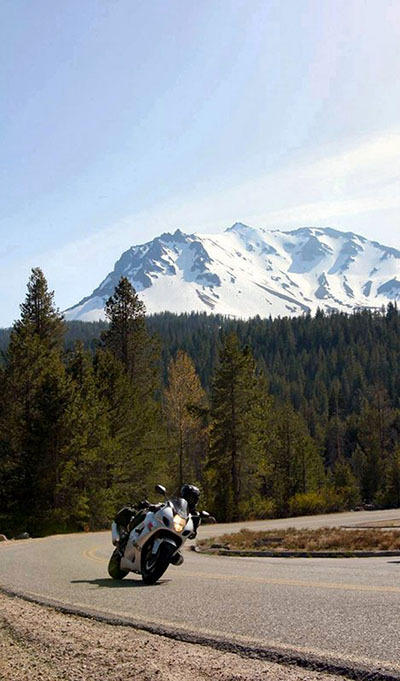 Or you can see all the best California motorcycle rides we have features by clicking here.